The H.W. 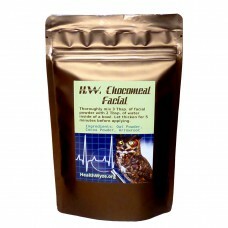 Chocomeal Facial works as well as any facial product on the market, but it does so more simply and more safely. The skincare products that are available in retailers are notoriously toxic, so we have long advised people to avoid them whenever possible. A good face mask should clean the skin, eliminate visible pores, and reduce any inflammation that is present. Therefore, our facial product features oat powder for its well-known anti-inflammatory properties. Oats additionally contain saponins, which are natural cleaning agents. In addition to providing a delightful aroma, the cocoa powder within our facials also benefits the skin. Chocolate's effects upon the skin have been clinically studied, and it has been found to increase the thickness, hydration, and circulation of blood to the skin. These things make the skin overall healthier; causing it to look more radiant. We found most of the other products are disappointingly lacking when we perused other options for face masks and facial products. While the terrible chemicals within standard products were expected from the very beginning, we were surprised by the issues of the "natural" products. 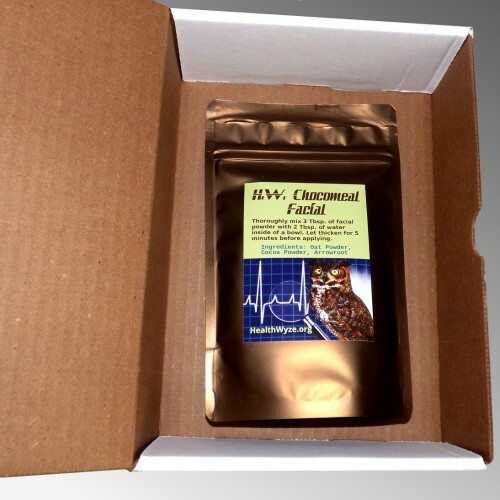 Foremost, the natural products tend to contain bentonite clay as their base ingredient, which is quite useful for emergency medicine, but bentonite clay contains toxic heavy metals, such as lead. Therefore, it should never be used within routine care or cosmetic products. We have endeavored to ensure that our ingredients are of the highest quality. The oat flour is Bob's Red Mill brand, a company whose reputation speaks for itself. The cocoa powder is from Anthony's Goods brand, and it is organic. Anthony's Goods also provides the arrowroot. We made a point to verify that none of the ingredients are ever imported from China. The arrowroot comes for Thailand, the cocoa comes from Brazil or Mexico, and the oats that we use are grown in the United States of America. 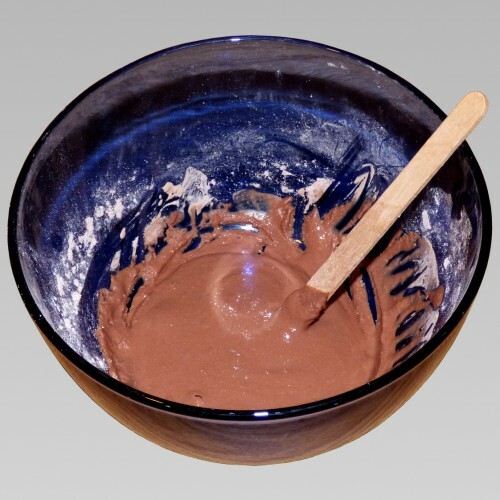 Remove 3 tablespoons of the powder and place it into a small bowl for mixing. Add 2 tablespoons of water to the powder. Mix it thoroughly until it looks like chocolate pudding. Wait about five minutes for the mixture to thicken more, and for the oat compounds to extract. While waiting, wash the face with a gentle soap. Evenly apply a thin layer of the facial to the face, and find a place to relax for at least five minutes. Wash the facial clean in the shower. It does not harm septic tanks. Will It Make You More Beautiful? We are certainly betting that it will help, but individual results vary. 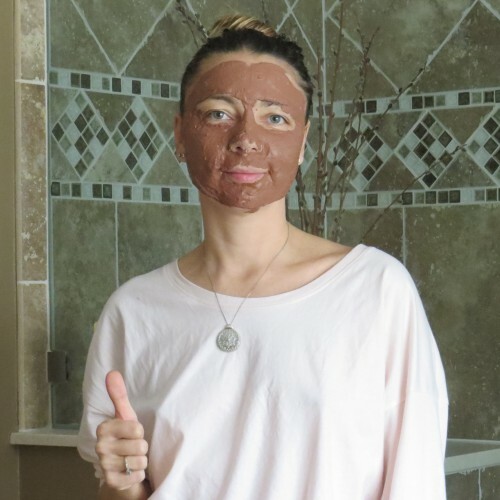 We have always contended that the truest beauty comes from inside, and that beauty is largely an expression of great health, so the cleansing action of this mask will generally help to beautify the skin. We cannot promise that you'll look like a supermodel or a Greek god afterward, but you just never know. Itching indicates that the facial has been left on for so long that it has begun drying on the face. This is normal for facial products. This product is great for men too. We specifically designed it not to be sexist. You won't find womany fragrances like lavender in this facial, or such oily abominations as shea butter. We kept it simple as men want it. This is a "meat and potatoes" facial, so use it and exert your manliness. When you find yourself being approached by more of the ladies in public, just turn to your male buddies and say, "Laugh at my facial now".